Apparently, some Seth Rogen fans are either very passionate about the fight against autism or are way too interested in the actor's private life. At the Too Many Stars fundraiser event at the Beacon Theater in New York City, the star of irreverent comedy hits like Superbad and Pineapple Express auctioned off a chance to join him for a trip to the men's room to a pair of fans who bid $18,000 each, according to Hollywood.com. To put that in perspective, another bidder paid $22,000 to hang out for two days on the set of critically acclaimed drama Breaking Bad, while the chance to spend a wholesome night with Saturday Night Live alums Tina Fey and Amy Poehler was auctioned off at $36,000. At least Rogen and the two high-bidders went to the bathroom for a good cause. The news source says proceeds went to organizations for autism education and family services. 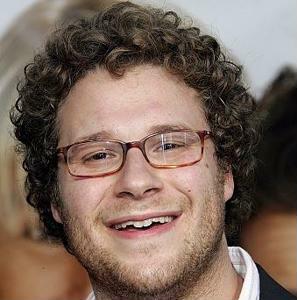 But Rogen's track record shows that he's hardly concerned with bathroom vanity. As reported earlier this year by the Belfast Telegraph and other sources, Rogen once relieved himself in an empty Snapple bottle while waiting for a meeting with controversial former husband of Katie Holmes, Tom Cruise. "It's true...he was meeting with people like me and Judd Apatow, to kind of, I think, get a sense of the comedic landscape at the time, so me and Judd had a few meetings at his house," the news source reports the actor said during an episode of Howard Stern's radio program. "I showed up early, he had a very long driveway and I didn't want to go in [to use the bathroom]." The moral of the story, is if you've ever had a difficult time finding a bathroom on short notice, there's no need to be embarrassed. Rich and famous people have the same problem all the time. In fact, WetPaint entertainment compiled a list of notable entertainers who've admitted to relieving themselves, out of necessity or accident, in places other than toilets. Black Eyed Peas songstress Fergie once urinated on herself by accident mid-concert in 2005. Katy Perry admitted to the Sun that she urinates in a bucket as part of her pre-concert warm-up ritual. Likewise, Lady Gaga started that she periodically pees in a trash can whenever the toilet is too far away, and self-styled bad girl Ke$ha urinates, well, pretty much wherever she feels like. Toilet bandits run amok across U.S.